MULTITEST MT3316A is designed for safe determination of optical signal in optical fibers causing no damage to the fiber itself, and no interruption in communication. 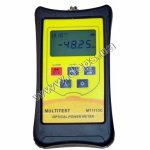 Hand-held Optical Power Meter MULTITEST series MT1115C, despite its overall dimensions, has a set of basic functions for measurements and is very easy to use. The device has a compact body with a modern appearance and a large range of measured wavelengths (850, 1300, 1310, 1490, 1550 and 1625 nm). 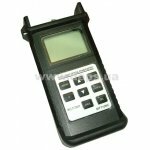 Handheld Optical Power Meters Series MT1103 are designed to measure the absolute optical power. 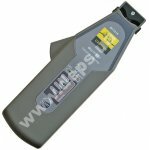 The meter operates at four wavelengths: 850, 980, 1310 and 1550 nm. 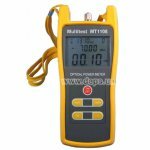 Meters of series MT1105 include four types of hand-held power meters, which differ in the measurement range. Inexpensive budgetary device MULTITEST MT1114C for measuring optical power at operation of optical networks of cable television, Ethernet, and for test measurements in research and testing laboratories. 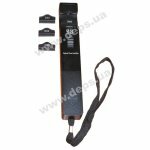 The device has a compact body with shock-resistant casing and a large multi-function display and a wide range of measured wavelengths (850, 1300, 1310, 1490, 1550 and 1625 nm). 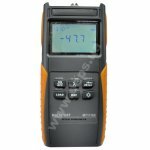 Handheld Optical Power Meters Series MT1105 are designed to measure the absolute optical power. The meter operates at four wavelengths: 850, 980, 1310 and 1550 nm. 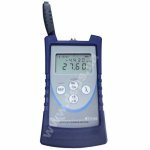 Meters of series MT1105 include four types of hand-held power meters, which differ in the measurement range. Device for measuring optical power at operation of optical networks of cable television, Ethernet, and for test measurements in research and testing laboratories. 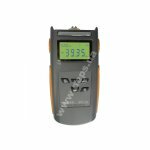 Meter MULTITEST MT1112C has a compact body with a shock-resistant casing and equipped with a large multifunction LCD-display. 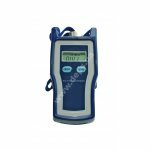 Handheld Optical Power Meters Series MT1106 are designed to measure the absolute optical power. The meter operates at five wavelengths: 850, 980, 1300, 1310, 1550. 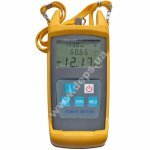 Meters of series MT1106 include two types of hand-held power meters, which differ in the measurement range. Hand-held and compact device MULTITEST MT1111C for measuring optical power during operation of optical networks. 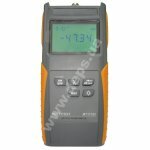 The meter is simple and easy to use, works at five wavelengths: 850, 980, 1310, 1490, 1550 nm. Tester for PON-networks MT3212 is a specialized model of the optical power meter, adapted to the specifics of today's fully passive optical networks. Testing is performed by engaging the device into the optical line, while scanning at three wavelengths – uplink 1310 nm, and downlinks 1490/1550 nm, that saves time and provides the most complete measurement result. High (> 30 dB) mutual isolation channels is provided. Meters for measuring the optical parameters like optical power and attenuation of an optical line.